It's no secret that I love The Botanist. It's definitely one of my favourite bars in Newcastle and a place Steve and I will always head to during a night or afternoon out. 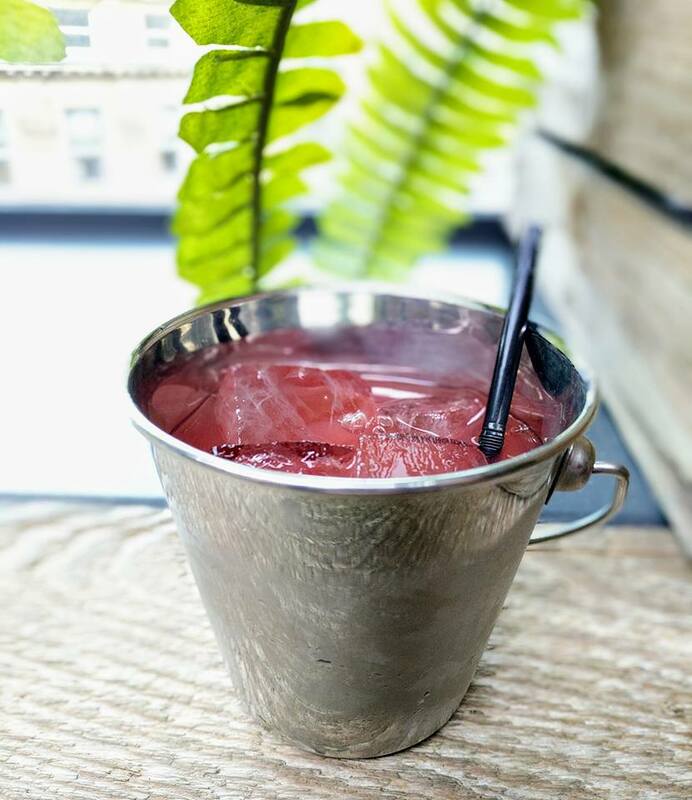 I was delighted to be invited up to their stunning roof terrace last week to enjoy a little showcase featuring some new drinks from their menu. First of all, how gorgeous is the roof terrace? The view of Grey Street is just the best. If you haven't been up there yet or it's been a while, you need to make a trip a priority. 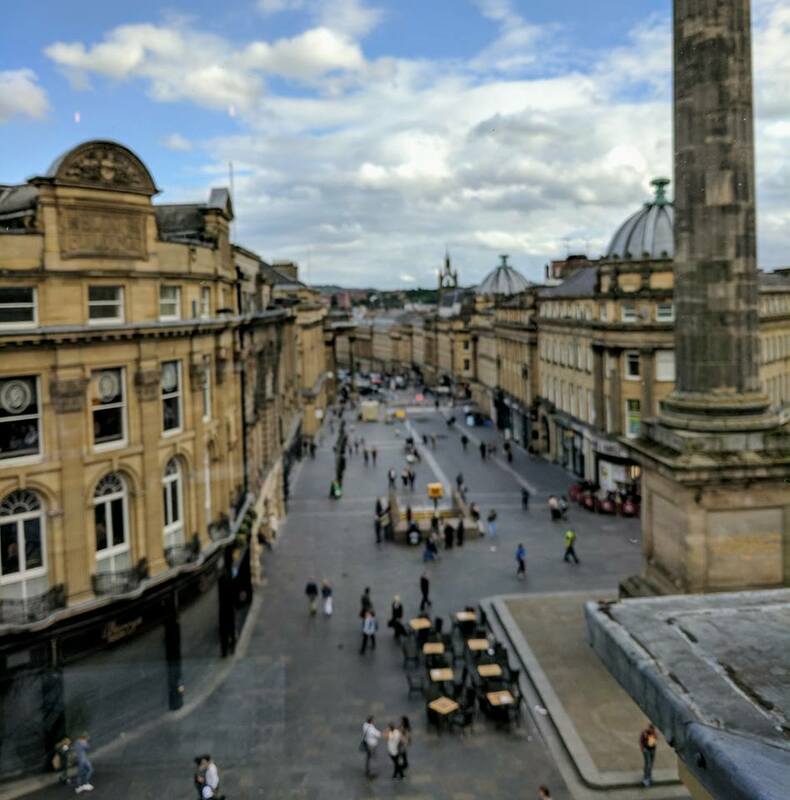 Unlike a few other roof terraces in Newcastle, you don't need to book or be a VIP - simply head up the stairs at your leisure. There's a range of seating available for larger groups to cute little tables for two and there's a dedicated bar up here so you don't need to head far when your drink needs replenishing. If it happens to rain (which unfortunately it did on the evening of our visit), then you can head into one of the covered snugs which are lovely and cosy. I love the roof terrace but as a non-smoker, I do get frustrated with the number of people smoking up here at times so that's something to keep in mind. The roof terrace will get super busy when the sun is shining and my top tip is to visit during the week through the day when it's cloudy but warm to increase your chances of grabbing a seat. 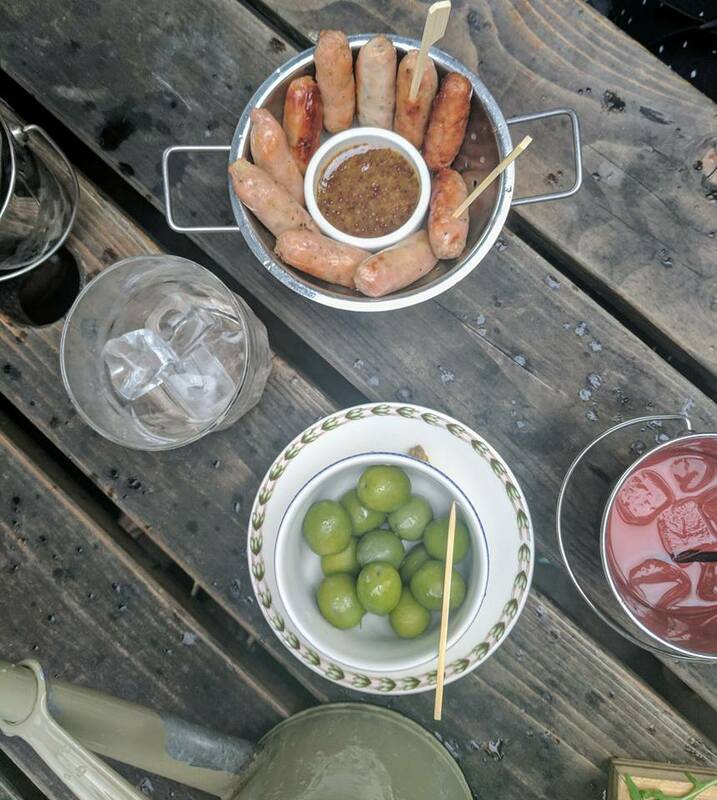 A trip to The Botanist always has to include snacks. I nearly always go for the deli board which is fantastic value at £10.75 for 4 items and bread. 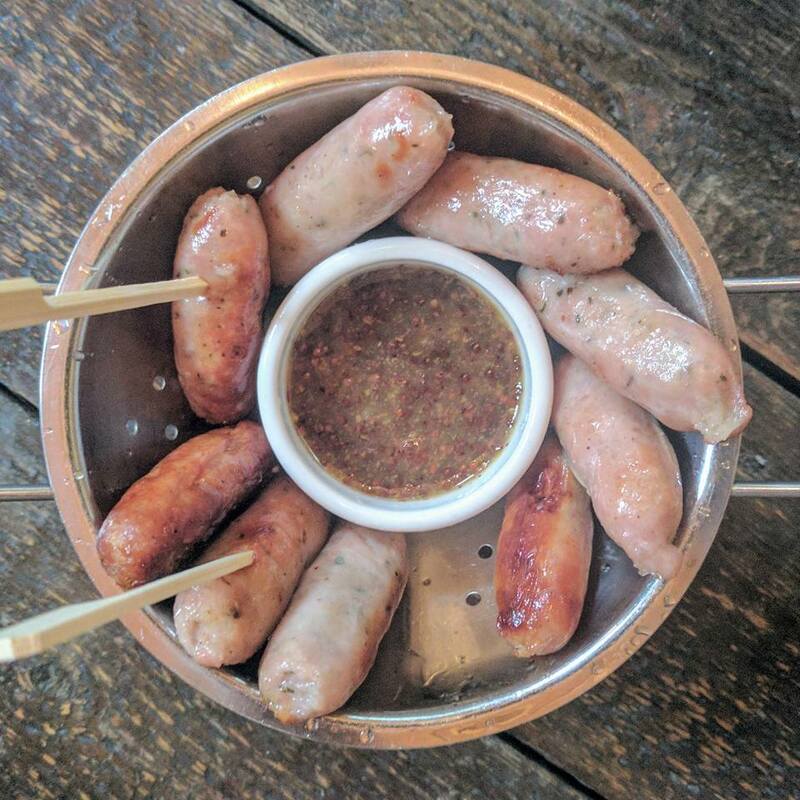 It's the perfect accompaniment to soak up those beers, cocktails or wine. I recommend the chorizo, pulled pork sausage roll, beetroot and feta dip and poached salmon with lemon mayo. 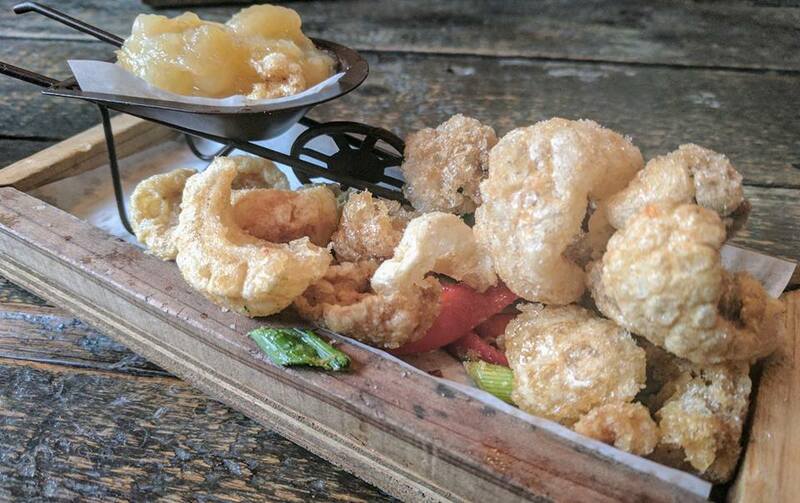 There are a range of bar snacks available to order too - always delicious, very moreish and perfect for sharing with friends. 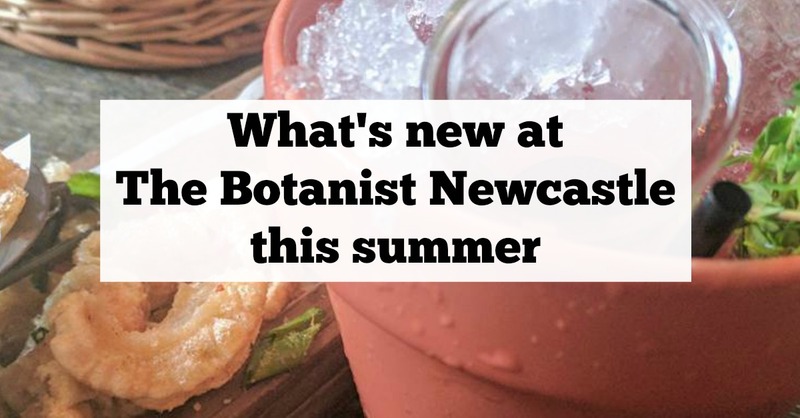 The Botanist have really taken their Botanical theme and ran with it this summer. You can expect more herbs, more flowers and more plant pots than ever before! 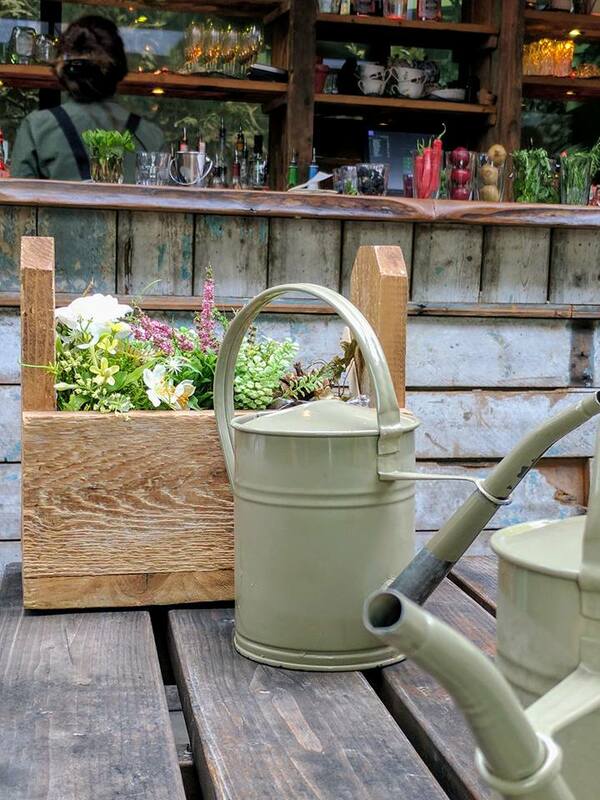 Watering Cans are perfect for groups and mean that you can avoid that dreaded queue at the bar and time it takes to order multiple drinks. I highly recommend Rum featuring Cherry and Thyme pictured below. We also tried a Pimms Teacup and mostly all agreed that this drink was all for show and if we are honest, the addition of dry ice just made our drink taste of chemicals and not in a good way. 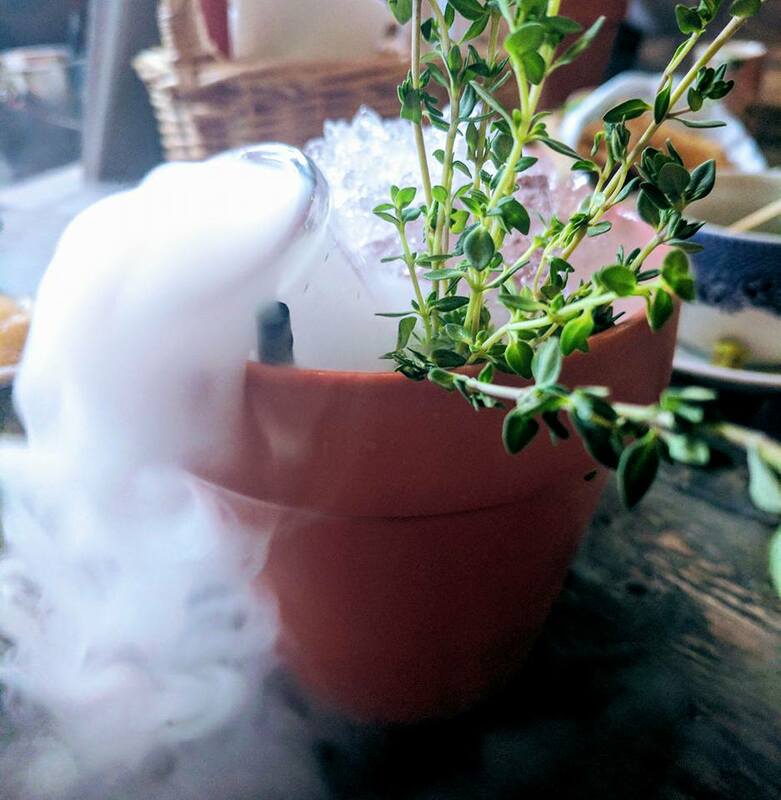 I think they maybe made the mistake of putting too much dry ice in our teapot so hopefully they've perfected their technique by the time you read this. We also found that most of the drink turned to ice or disappeared so for £7.50 you aren't actually getting much alcohol for your money. 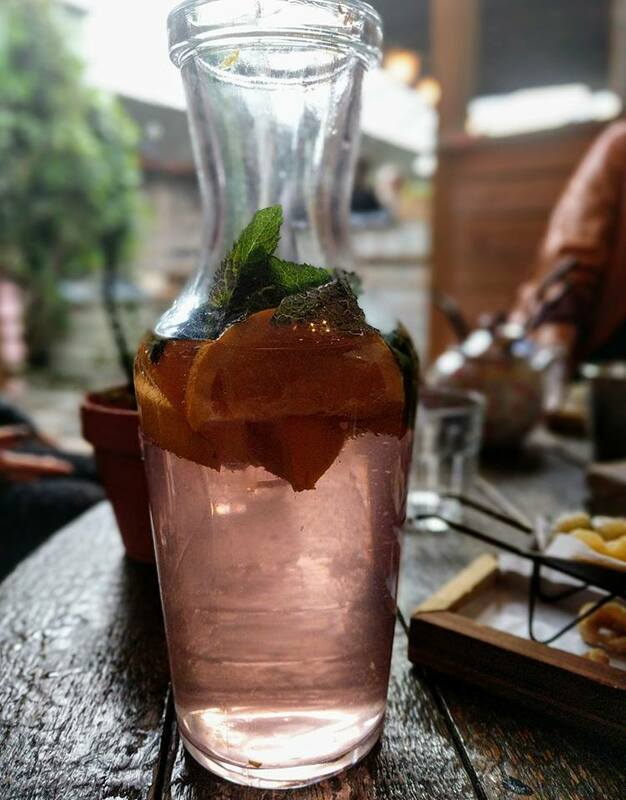 I'd much rather see Pimms served in a long carafe like the gin drinks below. 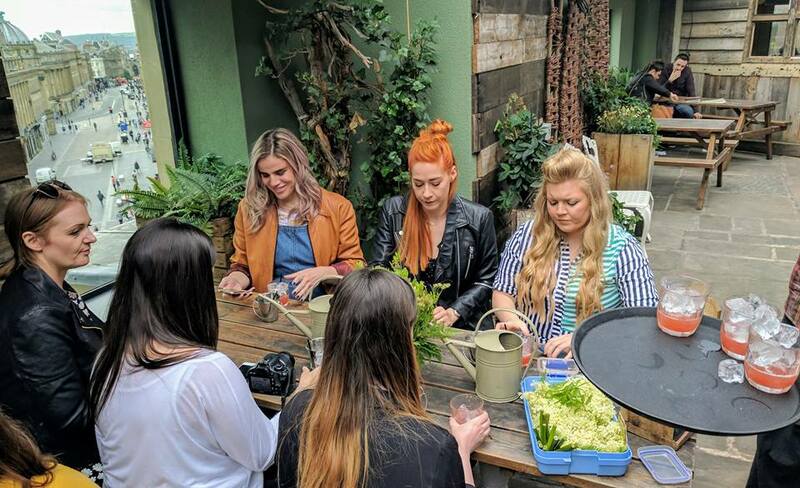 As well as their regular classic cocktail and ale masterclasses (priced from £20), the Botanist are introducing a brand new Gin Masterclass this summer. 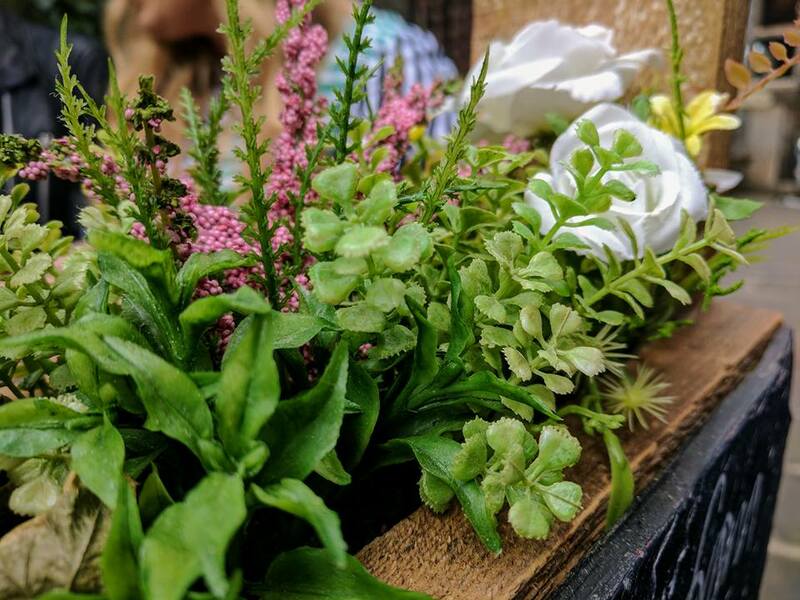 There are also a range of special events including a Floral Masterclass on 27th June and Jo Malone host regular pamper evenings too which are definitely worth looking out for and booking as an afternoon treat. 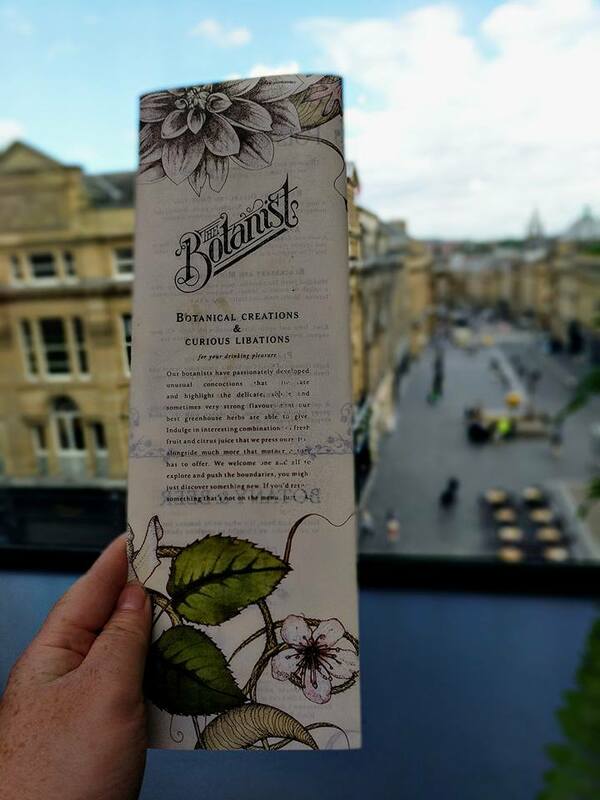 Keep an eye on The Botanist Newcastle's Facebook page for details. 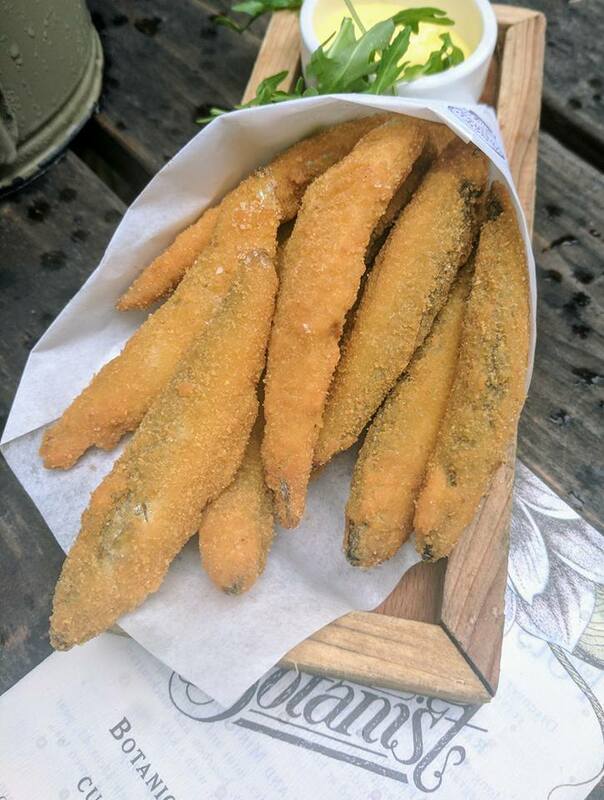 As a quick side note, during the blogger event, we were delighted to meet the guys behind Northern Wilds who specialise in Wild Food Forage & Feast in Northumberland. These guys really know their stuff and if you're interested in foraging and wild food, I'd definitely recommend checking out their website here. I've been inspired to forage for wild garlic next summer so watch this space. Let me know your favourite places for summer drinks in Newcastle. Still can't believe someone ate all the sausages! 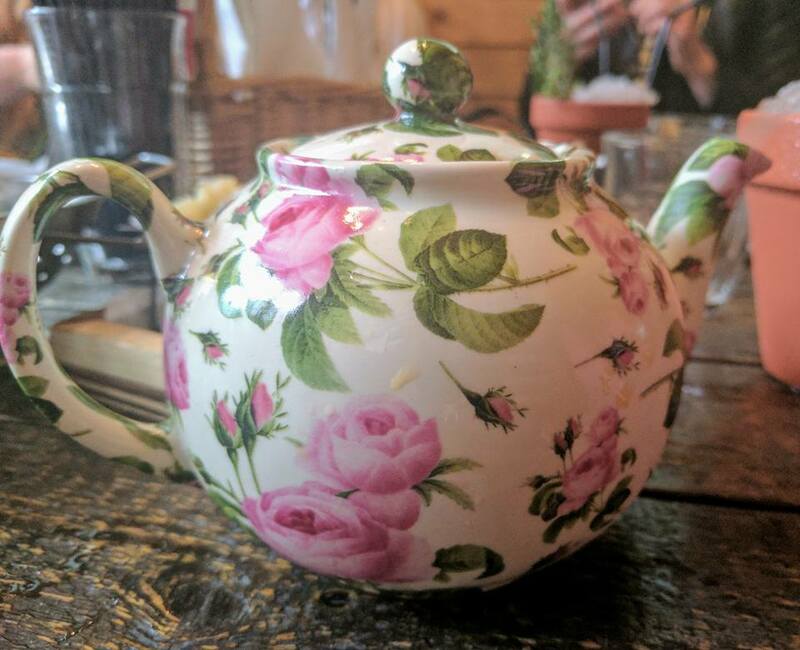 Your photos are amazing, hard to believe they were taken on a phone - think you need to share a review of it, I'd love to know more about it. Great photos-sounds like a fab night. 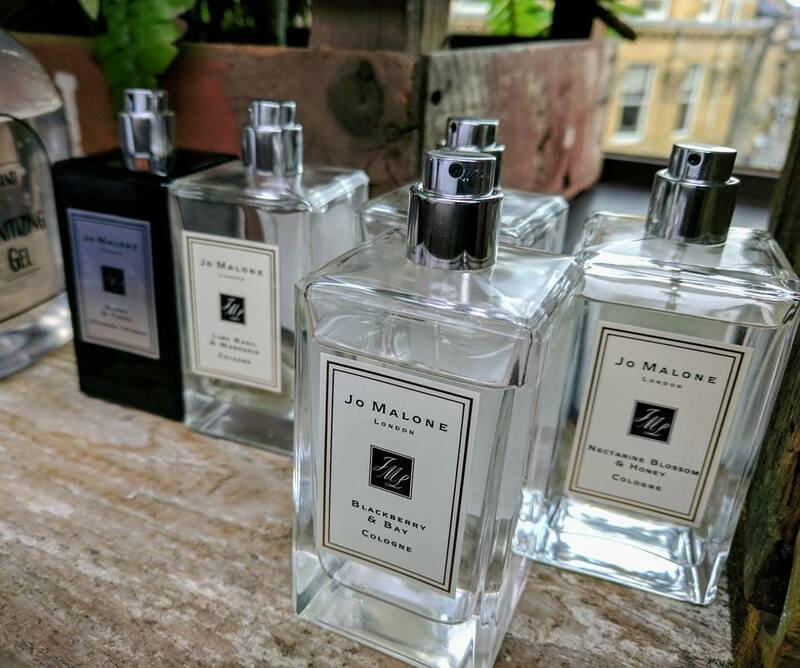 The terrace is perfect for the summer and like the idea of the Jo malone night too! I still have to visit here, heard so much about it. It looks the perfect place for a drink in this weather. Loving the herb theme.